Sophsterlicious • UK Blog: Lov-ing! - The USpicy LED Lamp. Lov-ing! 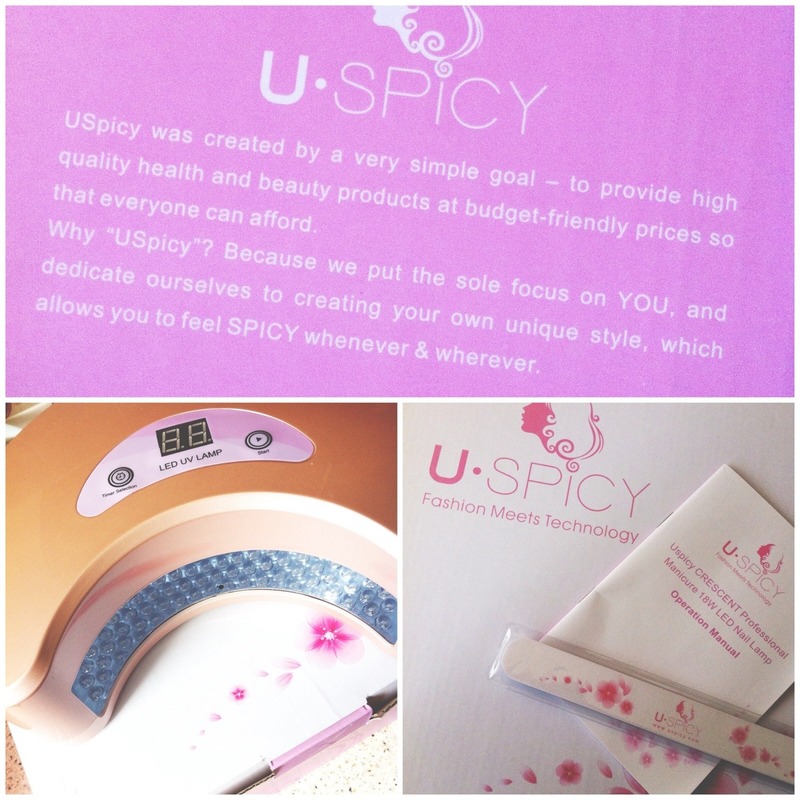 - The USpicy LED Lamp. 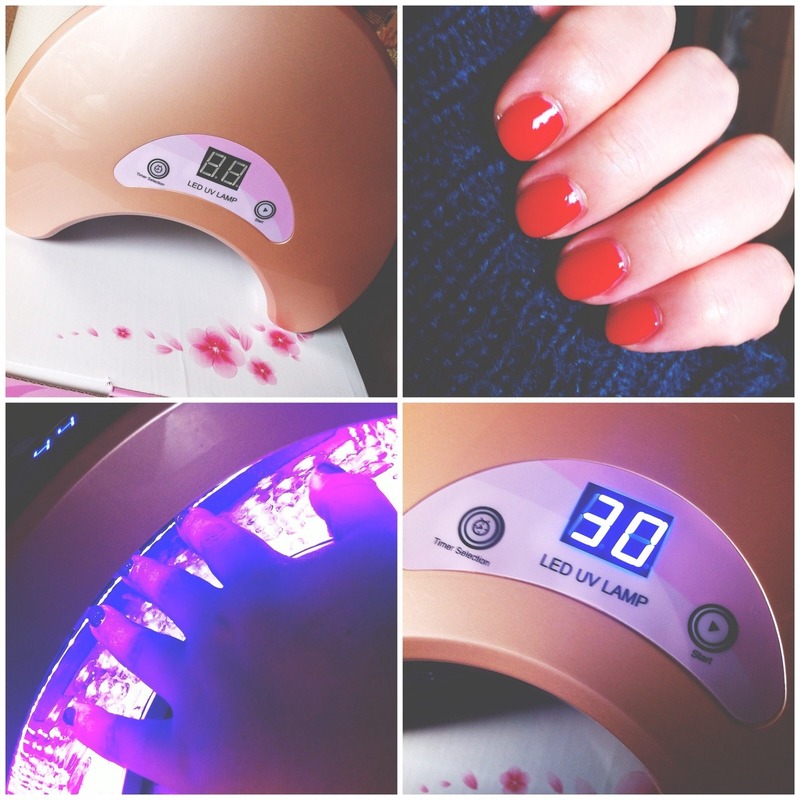 If you wear gel nails you will know how important a good lamp is in that set up, I had a small LED lamp (from Nailene) and a UV one before I got this one.. I always opted for the LED lamp as it's safer and there isn't a need for protecting your exposed skin from the rays of the UV lamp. When USpicy offered me the chance to try their lamp for review, I took a look and accepted right away. It sounded great and since I am still quite new to the at home gel nail thing, I was more than happy to try new things and see what worked for me. So here's what I love about it. It's crescent shaped and has room for a whole hand (or foot!) my smaller LED lamp was only large enough for 4 fingers, I always had to do thumbs separate, so because of this is saves me so much time. It looks pretty! I mean.. it's a peachy pink colour and so cute looking! Importantly, it also feels very sturdy and is not too heavy at all. It has a timer! I cannot even tell you how much I love that feature! My previous lamp beeped after so many seconds.. THIS lamp doesn't even need to beep, it has three auto time settings 30, 60 or 90 seconds! Or you can just put it on continuous if you'd prefer (but why?! ), up to you. The timer helps greatly, and the coolest part is that the lamp has a sensor, so you set it to the time, and it will automatically start to count down when it senses your hand entering the lamp. I have absolutely nothing negative to say about this LED lamp whatsoever. It is my go to for when I do my nails, it saves me time and it does the job perfectly, setting my gels in place for 2 weeks +! If you're interested in this lamp, or taking a closer look..
Plus Size OOTD: The Fancy Frock! Gilette Venus & Olay Superberry Razor.